Types of Consumable Materials: retail products, clothing, newspapers, publications, food product (fresh/prepared/frozen), beverages (water/soda/beer/liquor/wine), duty free goods, custodial, office supplies, furniture, light equipment/displays, FAA non-aircraft parts, uniforms/linens, engineering goods, maintenance materials, vending machine goods, parcels, currency, banquet items, wedding materials, hotel/convention materials, etc. Destined to: the list encompass an all-inclusive list of airport stakeholders to: airport itself, concessionaires (food, beverage, retail, news/gifts, specialty, vending), airlines and their clubs, TSA, FAA, Customs/Immigration, airport police, airport authority stores, parcel carriers, suppliers, custodial firms, repair & maintenance firms, integrated hotel, and many other types of 3RD party contractors. Under the Centralized Receiving and Distribution Center concept all supplier trucks and parcel carriers are diverted to a Central Facility away from the terminal. Supplier trucks and parcel carriers are no longer operating around the terminal and on the ramp around aircraft. 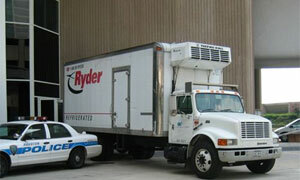 After a proactive and layered security inspection process, the material is put-away in a 100% highly secure environment. The re-distribution of material to terminal end-users is being performed by highly trained and security cleared/badged Bradford staff. They are delivering back to the terminal utilizing Bradford’s Virtual Secure Material Delivery Tunnel. 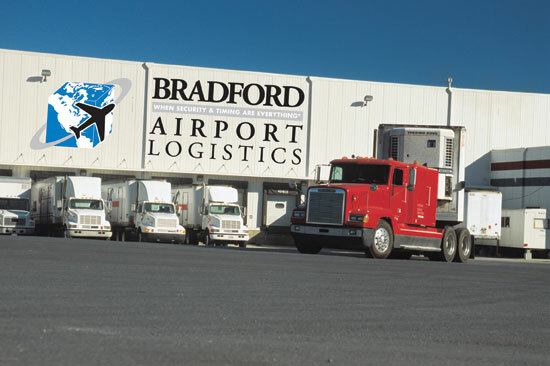 As a result, more than one hundred delivery personnel are replaced with just a few Bradford staff. 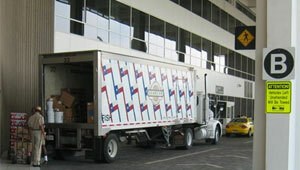 As a matter of prudence and enhanced protection of the traveler’s safety as well as critical airport infrastructures, the Centralized Receiving and Distribution Center is a proactive, thorough, and cost-effective way to reduce an airport’s vulnerability to a truck bomb and smuggling prohibited items into the secure side of the airport through the supplier material delivery process. The central facility provides turnkey services from dock management including scheduling deliveries, receiving, security inspection, put-away to temporary storage, and consolidated for re-distribution back to terminal end users. The facility further reduces total logistics and ancillary costs at every turn: from supplier, to concessionaire, to tenants, and to the airport itself. Our Airport Material Intelligence System will always optimize productivity and reduce costs over-time. The central facility can also improve the airport’s retail engine including the storage of goods to conserve upon precious and valuable terminal space, perform reverse logistics, and manage a variety of sustainability initiatives. 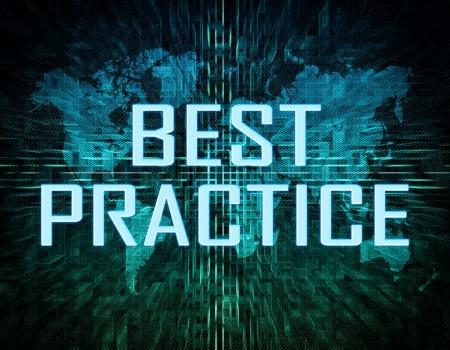 Click here to Read "Best Practice’s" White Paper on Benefits of Centralized Receiving & Distribution.